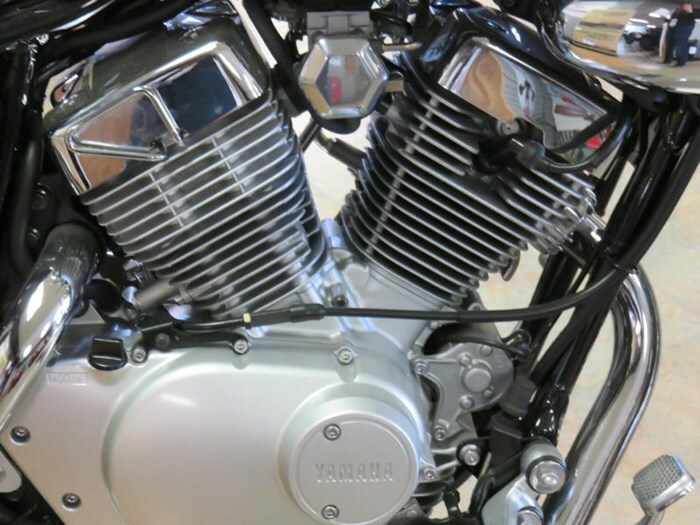 2018 Yamaha V-Star 250 - uthentic, 249cc, air-cooled, 60, SOHC, 2 valves per cylinder, V-twin engine. RIDER-FRIENDLY. Smooth-shifting, 5-speed transmission provides versatile performance. 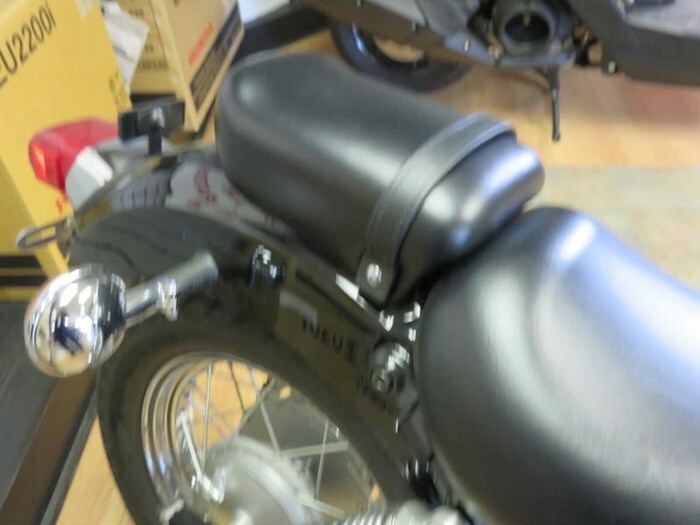 Clutch lever pull is very light and novice friendly. 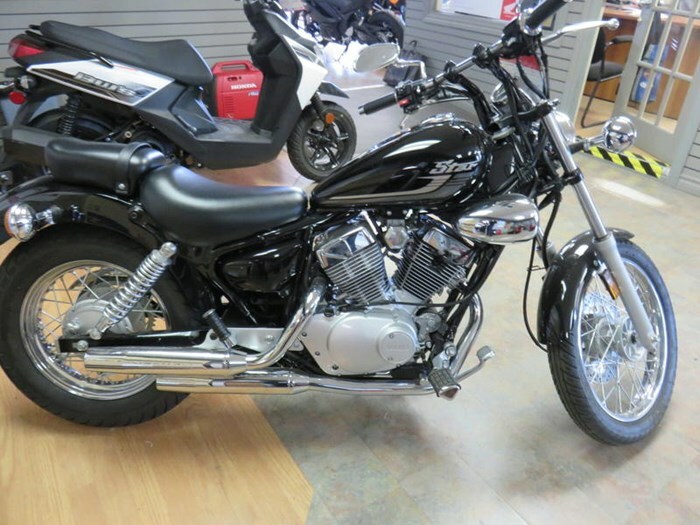 2018 Yamaha V-Star 250 CONQUER ROAD There are a whole bunch of reasons to check out the V-Star 250, but the most intriguing is it's authentic V-twin powerplant, which means that you're getting full-sized rumble and styling in an easy to ride, lightweight bike. 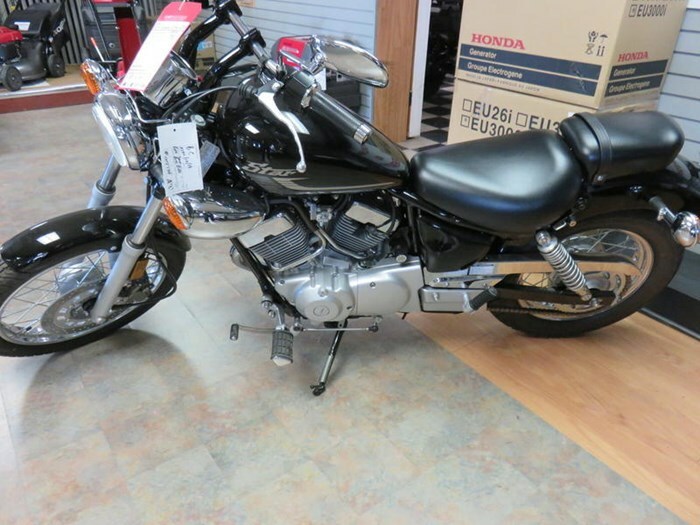 POWER A Features may include: ENGINE 249cc, air-cooled, SOHC, 2 valves per cylinder, 60 degree, V-twin. SOHC, 2-valve cylinder heads. Air-cooled engine design. Automatic cam chain tensioners reduce mechanical noise & simplify maintenance. Traditional "bore-able" cylinder. Forged aluminum pistons. Single pin style crankshaft. Wet sump lubrication system with easy access element type oil filter. Single Mikuni BDS26 carb. 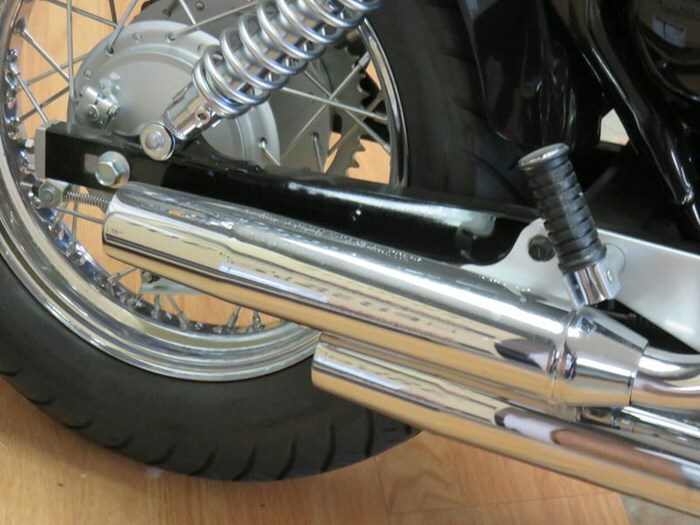 Classic, chromed air box CHASSIS Tube type, double cradle steel frame. Box section, steel, dual shock swingarm. Full-size, 1,488 mm (58.6") wheelbase ensures maximum stability & a comfortable, roomy ride. Wet weight of only 147 kg / 324 lbs. 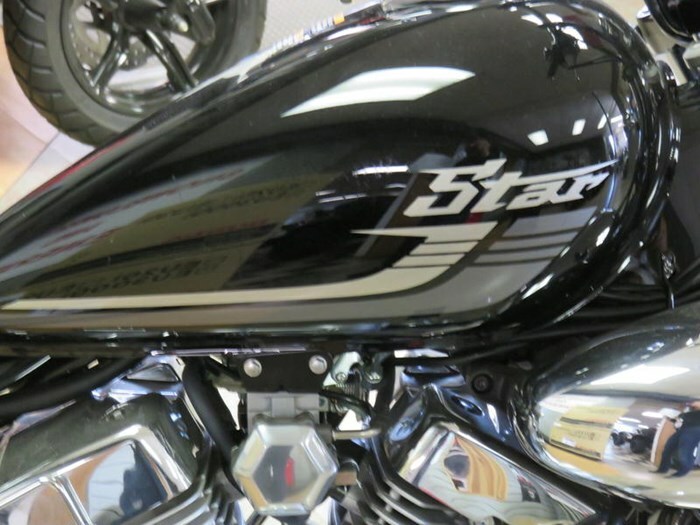 makes the V-Star 250 light, nimble & easy to handle. 33 mm fork provides 140mm (5.5") of wheel travel. Adjustable dual shock rear suspension with 100 mm (3.9") of wheel travel. Single 282 mm front disc brake with twin piston caliper delivers strong, confidence-inspiring stopping power. Rear drum brake. Separate rider & passenger seats. 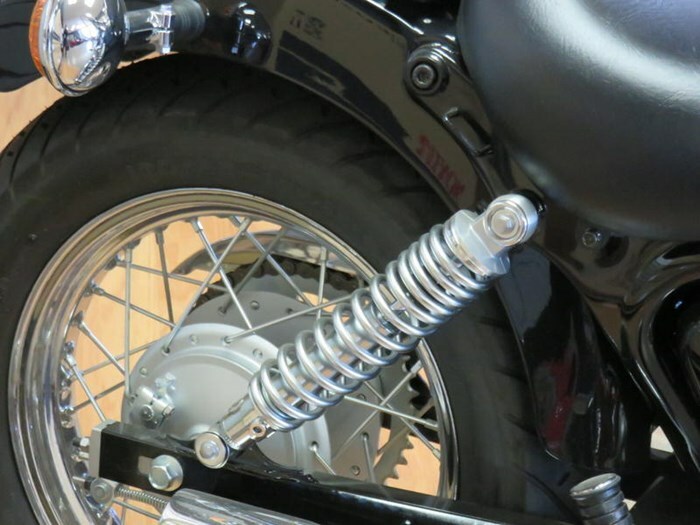 Classic, chromed, spoked wheels.